Such a crying shame the Alpine A110 isn’t being sold stateside. The reborn Alpine A110 was one of the most alluring cars on display at Geneva this year. 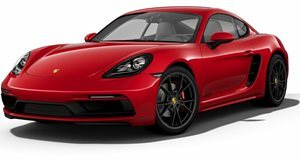 Achingly beautiful from every angle, the lightweight sports car poses a serious threat to the Porsche 718 Cayman and Alfa Romeo 4C. Thanks to its bespoke all-aluminium platform, it tips the scales at just 2,432 pounds which should make it extremely agile to drive on twisty roads. It may look stunning, but how does it sound? We now know the answer thanks to a new video. Let’s just say it doesn’t make the fact that it won’t be coming to the US any easier to accept. French YouTube channel Alpine Planet was recently invited to take the new A110 for a spin to coincide with the 24 Hours of Le Mans, confirming that it’s a treat for the ears as well as the eyes. Despite only packing a four-cylinder engine, the A110 sounds surprisingly savage in the 16-minute long video. That sweet sound is produced by a 1.8-liter turbocharged Renault-Nissan engine churning out 252 horsepower and 236 lb-ft of torque, allowing the lightweight sports car to hit 0-62 mph in 4.5 seconds, making it a tenth of a second quicker than a Porsche Cayman S off the line. Power is sent to the rear wheels via a seven-speed dual-clutch gearbox. The Alpine A110 will also be making its public debut at this week’s Goodwood Festival of Speed where its handling will be put to the test when it tackles the famous hill climb. Like we said, it really is a crying shame this sublime sports car won’t be sold stateside. 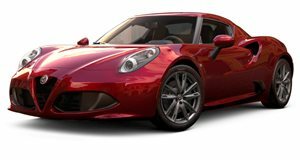 It’s far from being the best-in-class, but the Alfa Romeo 4C is undeniably a unique and very special sports car.